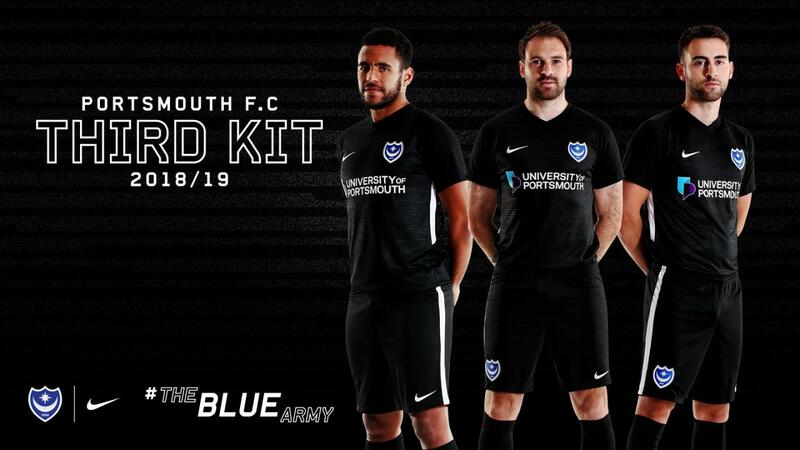 Portsmouth FC revealed the club’s new third kit by Nike for the 18/19 campaign. 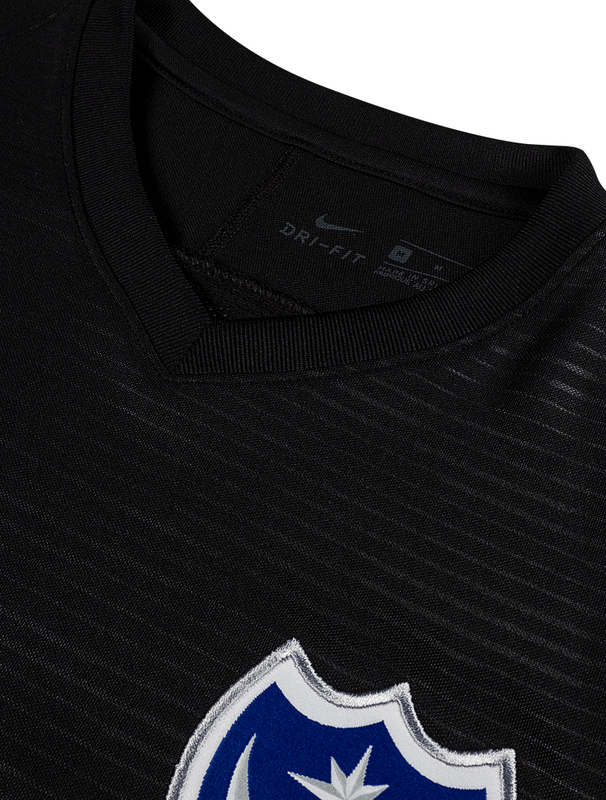 Kenny Jackett’s side will be dressed in a stylish black outfit for selected matches on the road this season. The shirts feature Dri-FIT technology to help supporters stay dry and comfortable. The front panel has a subtle horizontal pinstripe embossed graphic, while a mesh black panel provides additional breathability. A v-neck collar offers a versatile fit, with raglan sleeves eliminating the shoulder seam to allow a natural range of motion. 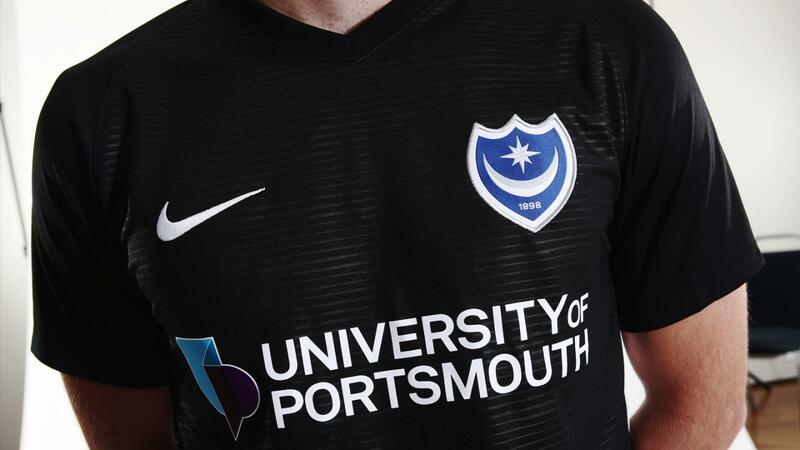 Contrast-coloured stripes run down the side of the shirt, which bears the logo of the University of Portsmouth.